Growing up in Colorado Green Chile is a staple, I’ve eaten it all my life. As I grew older my friends and co-workers loved my mom’s Green Chile and always asked me to bring it for potlucks or parties. In the summer of 2009, my mom (Olivia Montoya) and I were eating at a Mexican Restaurant (I won’t mention the name). Mom did not like the Green Chile, it was more like Tomato Soup with a few Green Chiles in it. It was then I mentioned to mom that we need to market her Green Chile. She agreed it was time. 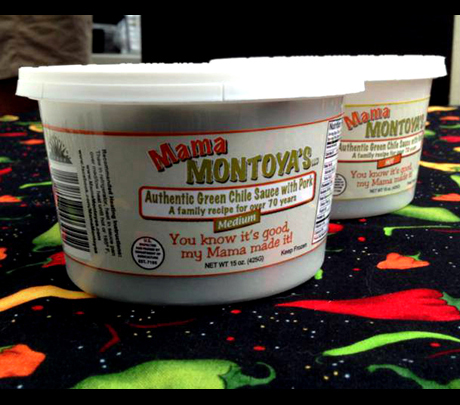 The following summer of 2010 we started selling our Green Chile at Farmers Markets. We were received very well, we sold 44 tubs of Green Chile the first day. It was at that point I knew we were onto something special!